Fin configuration: Four on each end. One end has two 0.25" molded-in fins in the center and two 0.8" P-Wing removeable fins on the outside. The other end has two 0.8" P-Wing removeable fins in the center and two 0.25" molded-in fins on the outside. A twin profile with a directional bottom design. Shaun Murray's speedy new freeride shape is the perfect blend of powered transfer turns and additional stability when riding switch. You can't ride the same both ways, so why are most boards symmetrical? 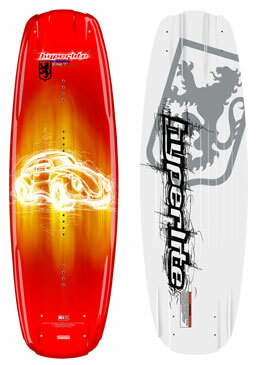 2.7" Continuous Rocker - A quicker, more predictable transition up the wake every time. Art History - Shaun's graphics are a modern version of some of his old favorites.